Teachings from the scriptures and realized masters with the focus on practice – both on the mat and in life. Please keep in mind that we are not studying the teachings but through the teachings, we seek to know our true nature. The Yoga Vasistha is a very important scripture for spiritual seekers. The wisdom and teachings are in the backdrop of Vasistha’s teachings to Rama. Vasistha uses many stories or illustrations to bring out the subtle teachings. 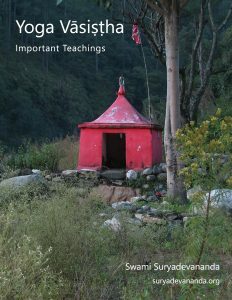 This compact version has the important teachings in Sanskrit and their meaning in English without any explanation. A series of informal talks on the Yoga Vasistha. Though we will follow the general flow of the text, we will focus on the teachings that can be put into practice in life and on the mat. 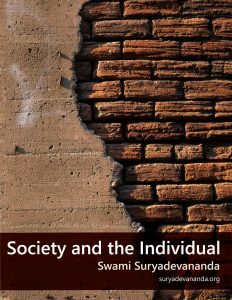 This short series of pointers on sadhana was originally the last work of Shankaracharya, the great exponent of Advaita Vedanta – the school of absolute monoism. His disciples asked for a concise work as a blueprint for practice. In five short verses containing 40 cryptic statements, we have a very well laid out roadmap for earnest spiritual seekers. 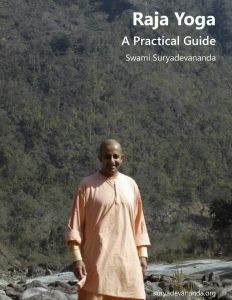 This practical guide, is a read now and practice now or as you go along. Theory must give way to practice and practice to experience. Experience shapes understanding and checks habit. The mat of practice involves all of life, not just the sitting area. When spirituality enters life, life enters spirituality. Practice diligently. One common video and audio for yama and niyama. 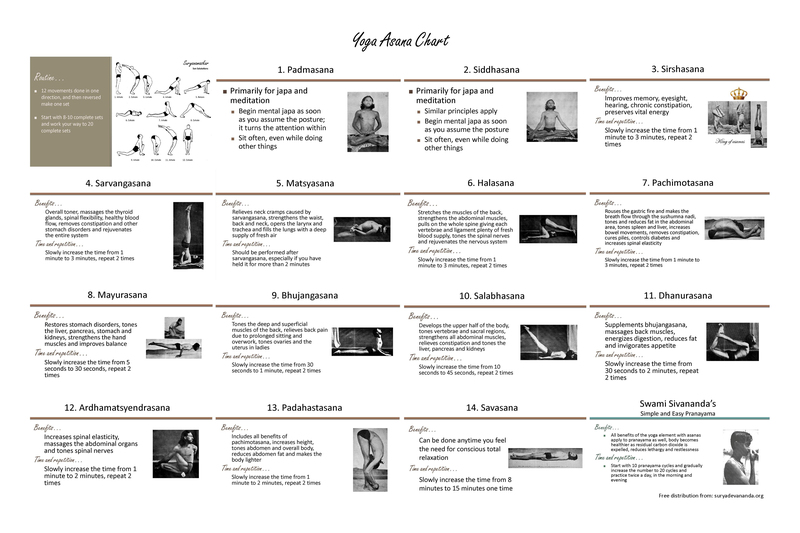 One common video and audio for asana and pranayama. One common video and audio for pratyahara and dharana. A guided meditation video, first of three parts. A guided meditation video preceded by a ten minute talk on awareness. A guided meditation video preceded by a short 11 minute talk on inquiry. 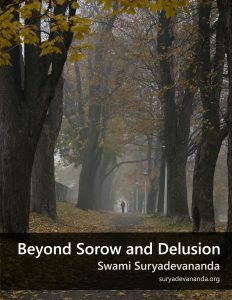 Swami Sivananda has distilled the verses of the Gita, bringing together the most important verses that concern with the nature of God, the seeker, spiritual life and sadhana and the attainments on the path. We start with habitual living or living as we are accustomed to and look into the cause of the many problems we face. It will look into practical ways to live a life that is free of hurt and hurting by bringing about a change in what we choose to think about and how we feel about things. If there can be an awakening that lasts, the mind can be reset to function in its healthy and natural state—and life would be a journey of blossoming. The Yoga Vasistha is a mighty scripture that has long been the mainstay of those sincere seekers. I have already rendered what I’ve felt were the important verses in poem in line with the flow of the scripture. 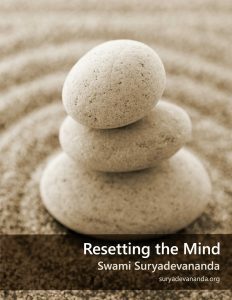 It was felt to find a way to distill the earlier effort further and bring out the Yoga Vasistha’s teachings on different themes in such a way that one feels directly engaged with sage Vasistha. The four questions put to the sage in the Devi Mahatmyam, are our questions today too. What is good? Why is it hard to pursue the good? Why do we suffer? How does one go beyond suffering and delusion? Could you please destroy our ignorance with your wisdom? We turn to the Katha Upanishad for answers. Yama or death is the teacher and Nachiketas or fire is the student. Death is the pivot of change, something dies and a new form is seen. 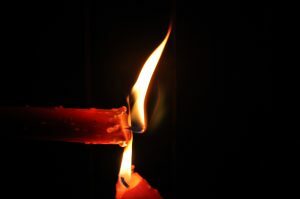 When the fire of aspiration faces this truth of life that everything changes—light, power and wisdom arise. 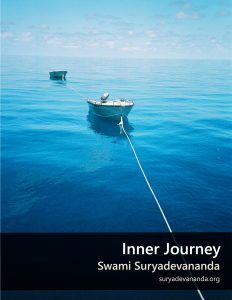 From the book, ‘Gita Meditations’ by Gurudev Swami Sivananda. 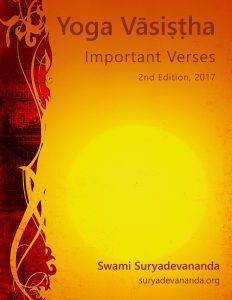 Audio by Swami Suryadevananda. 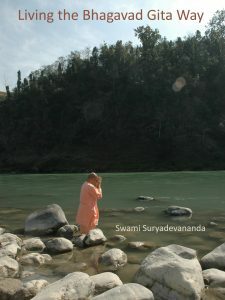 Posted here by kind permission of The Divine Life Society, Sivananda Ashram, Rishikesh, India. 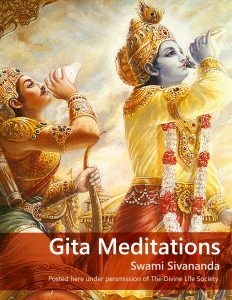 About this work: I have long been wanting to in some way share the teachings of this magnificent book, ‘Gita Meditations’ by Gurudev Swami Sivananda. 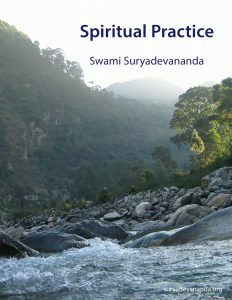 The author’s introductory essays will say all that has to be said about the work and its vital importance to the spiritual seeker. 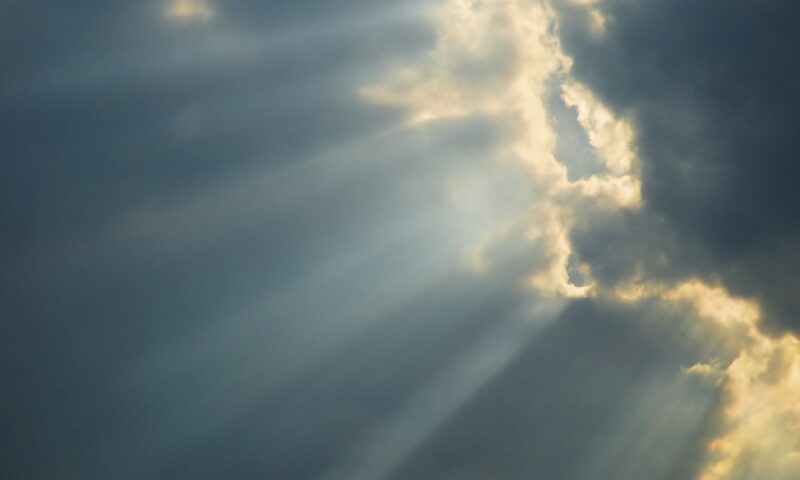 Today, we take up five verses from the first chapter of the Bhagavad Gita: verses 40-44 to understand how life was viewed and lived in the time the Bhagavad Gita was first given, some very pertinent observations of Arjuna and its meaning to our lives today. The battle which forms the backdrop of the Bhagavad Gita is our battle today and the conflict that arose in Arjuna is the conflict that arises in us even today when we stand face to face with certain conditions. 15 minute audio complete relaxation or savasana that is done lying down on your back, preferably on a flat surface or mat without a pillow. Very beneficial after your asana and pranayama practice but can be done whenever you feel the need to let go and relax. Recommend avoiding background music, scents and all electronic devices other than an audio player and a simple mat.